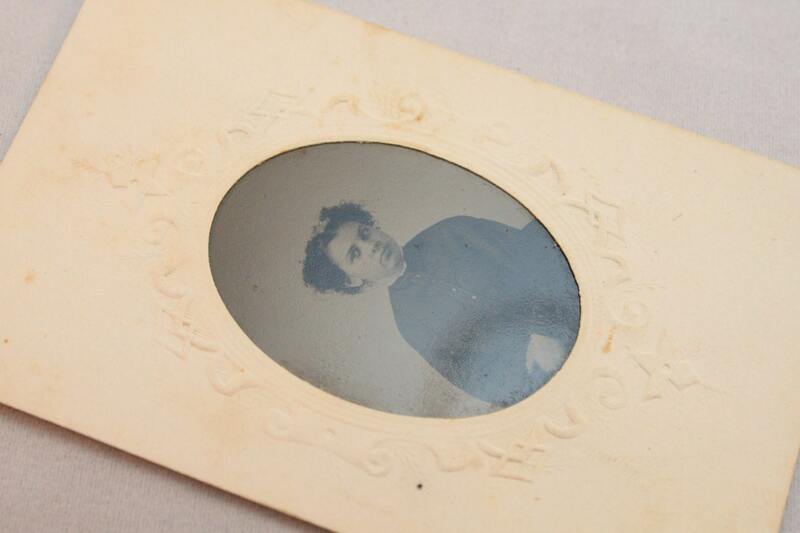 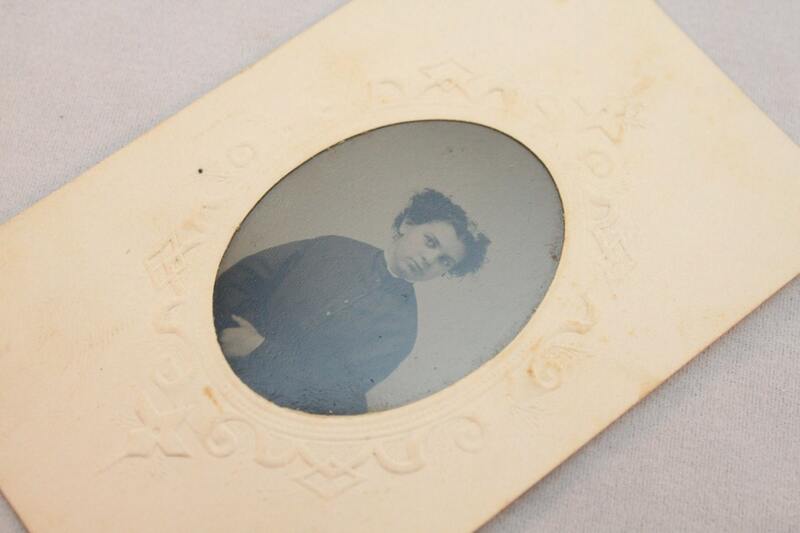 Here we have an amazing example of a late Victorian era tintype in almost perfect condition! 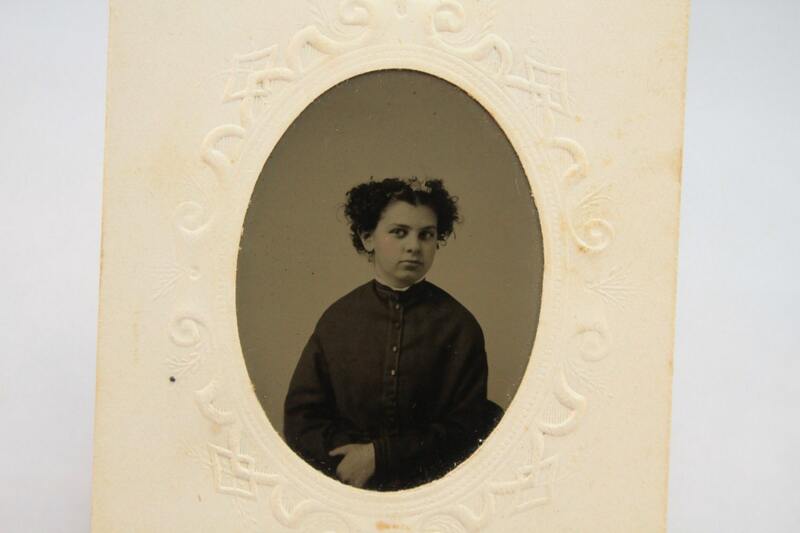 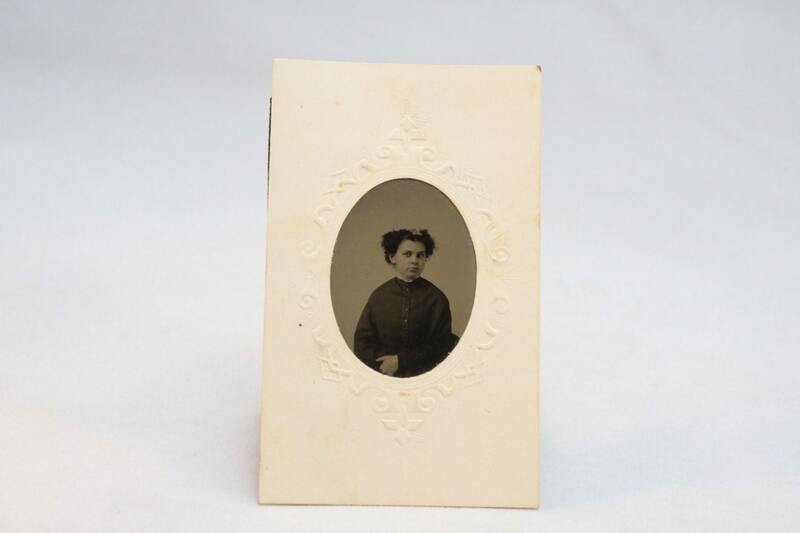 This piece of photographic history features the image of young lady with curls set in a beautiful embossed paper holder. 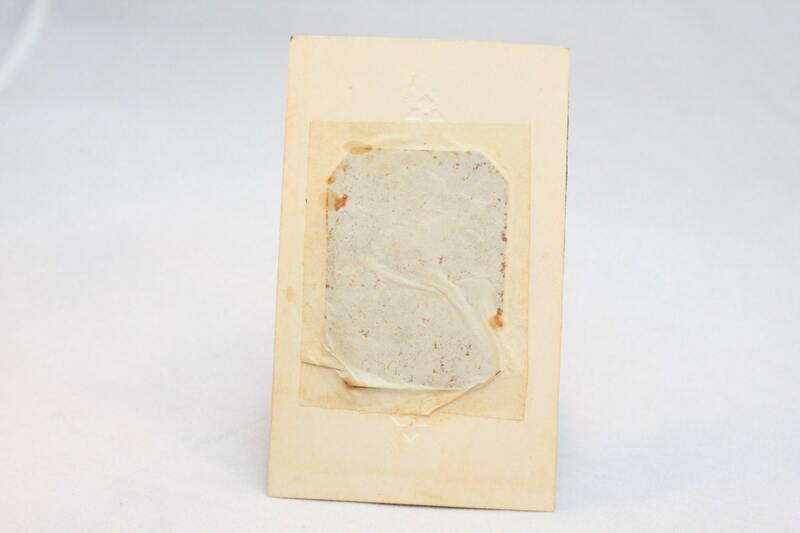 - Condition: Excellent, Some discoloration on paper holder.